If you’re old enough, you remember that there was a time when we didn’t walk around listening to music on our iPods or cellphones. We listened to music on a device called the Walkman. And if you’re too young to remember the Walkman, we thank you for helping us attract that coveted 18 to 34 demographic. Please recommend "BETA" to all of your fellow 18- to 34-year-olds. Rebecca Tuhus-Dubrow was born in 1978, the year before the Walkman debuted. Even though she was just a toddler during the Walkman’s early years, she’s gone on to write a book called "Personal Stereo." "When I started to think about it more and research it more, I realized that it was an even richer subject than I had originally realized because, as I say in the book, the Walkman was arguably the first mass personal device," Tuhus-Dubrow told WPR's "BETA." "It was the first time people were carrying a device around with them in public that provided them with their own personal form of entertainment," she continued. "You can argue the transistor radio, but this was more individualized and immersive. So I started to see it as the ancestor of our current personal devices and started to learn about the ways that it had influenced and changed public space at the time that it was introduced in the early '80s." 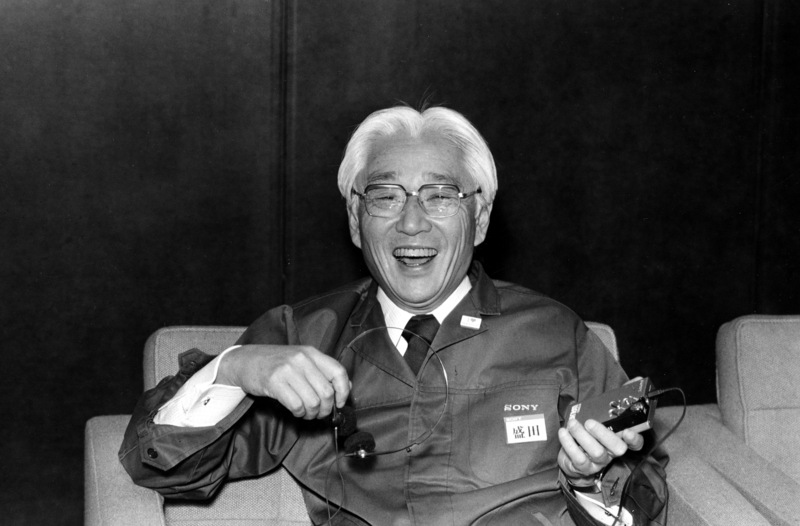 The Walkman was invented by Masaru Ibuka and Akio Morita, the co-founders of Sony. "Nobody at the company thought it was a good idea," Tuhus-Dubrow said. "They thought it would be a complete flop because, first of all, it just wasn’t done. People just didn’t listen to headphones in public at the time. It just looked really weird. I guess they thought that it was kind of anti-social to go around listening to music that no one else could hear." Sony employees also doubted anyone would want a tape player that wasn't able to record. "Because at the time it was called the tape recorder, so that was a really integral part of its function," Tuhus-Dubrow said. "And in order to make it small enough to be the kind of portable device that they wanted it to be, they had to remove the recording function. So that just seemed preposterous to them at the time because they were tape recorder engineers, so they thought a tape recorder that doesn’t record, that’s a deficient product." 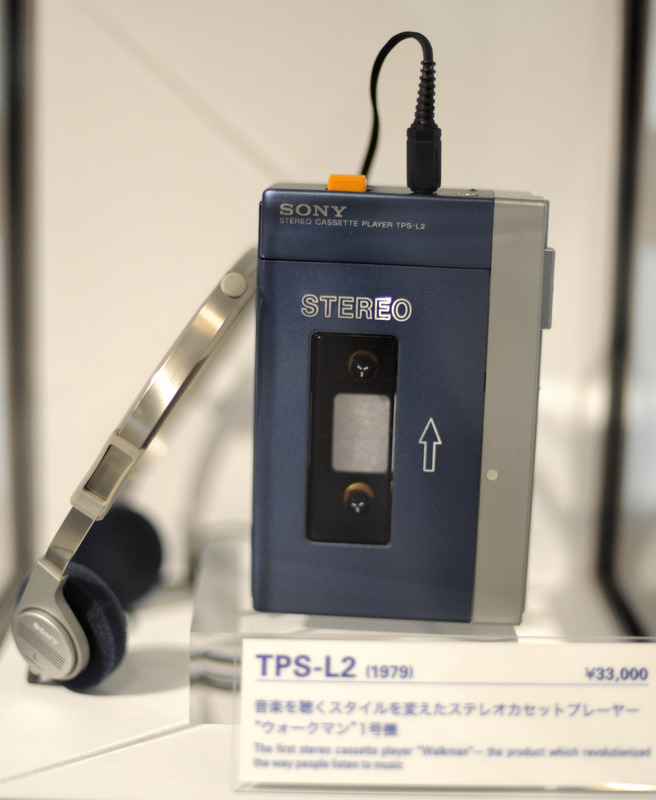 The Walkman debuted in July 1979 to near-instant acclaim. "It was rapturous. People almost immediately, they just loved it — just this kind of unprecedented, intimate experience of listening to music right next to your ears and being able to move through a landscape, through a city at the same time," Tuhus-Dubrow said. "They compared it to cinema, to the experience of either watching a movie or being in one or both. They compared it to drugs. A lot of people talked about how intoxicating it was. It was a big sensation." As Tuhus-Dubrow points out in her book, people couldn't talk about the Walkman without talking about an earlier sonic innovation — the boombox, also known as the "boogie box" or the "ghetto blaster." "Since the boombox had just fairly recently achieved some popularity and some people really loved it, it was kind of festive," Tuhus-Dubrow said. "One term that I came across was 'a sonic campfire.' You know, someone would bring a boom box to the park and people would gather around and basically have a party. But, of course, not everyone felt that way. And when people would blast their music on the subways, a lot of people found it pretty annoying. So the Walkman was frequently compared to the boom box and it was seen as more courteous because you weren’t imposing your choice of music on everyone around you. But it was also the fact that when you were listening to the Walkman, you were having this private experience in public space and you were kind of withdrawn into yourself, that was also unsettling to a lot of people." Tuhus-Dubrow argues it wasn't just a portable listening device that changed when and where we listened to music. She also makes the case for it as a symbol of the 1980s. "I found it fascinating that the Walkman could play these different roles. For teenagers, it was seen as just a way of being kind of lazy and self-indulgent. And for Yuppies, it was seen as a way of being very energetic and goal-oriented and self-improving," Tuhus-Dubrow said.